ok. this is my first blog and it's on a subject that is so important but most of us (including me) have overlooked it until now. if you are like me, my general opinion is "people either like me or they don't" or "they can take me or leave me". are you shaking your head in agreement? if so, this blog is for you and especially for me! at times, i can be awesome with people but most times, i am awkward. you know the feeling. you meet someone new or you see an old friend and you walk away from them thinking "what in the world did i just say? ", "am i nuts? ", "why didn't i complement that person?" or "why didn't i give them a hug?". hugs are a whole 'nuther ballgame that i might play another day. we'll get there but i'm starting with awkwardness pre-k right now. 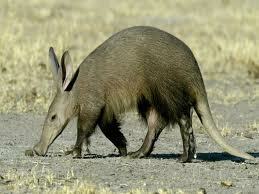 awkward reminds me of the word aardvark. just look at that guy! he's got long ears, a long snout, a humped back, a long tail and really doesn't look like any other animal we see on a regular basis. is that how you feel sometimes? i do, especially when talking to people, even my family! oh, did i also mention, he lives in a hole? in african folklore, the aardvark is much admired because of its diligent quest for food and its fearless response to soldier ants. we need to think of ourselves as the aardvark! we will become admired because of our diligent quest for friends and our fearless response to people! we will become less and less like the guy above and more and more like the guy below. 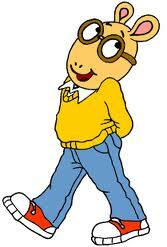 feast your eyes on arthur the loveable aardvark! he's got lots of friends and rules the playground. you may be wondering how i, the person who talks 90 miles a minutes could ever have a problem meeting people. i usually fake it till i make it and then beat myself up for the next several days. i love people and i want to be that person who can talk in any situation, illuminate a room and even, make people feel good! if you have the same challenges with people that i do, follow my blog and we'll take this journey together. i always feel safer when i have someone to travel with. we will begin with a different challenge each week. if you are serious about progress, please do this with me and share your results with me by emailing me at tammy.stafford@hotmail.com. ok.
meet one stranger this week. it doesn't matter where you meet them, just make it someone that you don't even know their name. but be sure you remember their name......they will hopefully move from the category of "acquaintance" to "friend"!